the context menu of the test method. 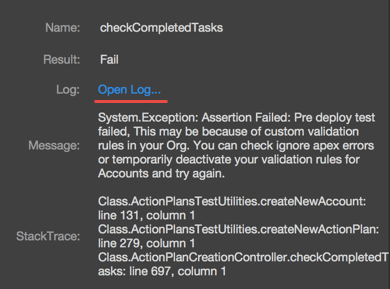 NB: To be able to open test logs you need to press the Download logs button in the Logs panel previously. Any of these actions opens a log file in the Debug Logs Viewer, so you can explore the complete history of the test run. NB: This option is disabled for the deployment validation test-runs.